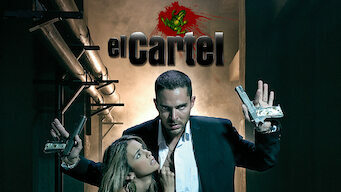 How to watch El Cartel: Season 1 (2008) on Netflix Singapore! Sorry, El Cartel: Season 1 is not available on Singaporean Netflix, but you can unlock it right now in Singapore and start watching! With a few simple steps you can change your Netflix region to a country like USA and start watching American Netflix, which includes El Cartel: Season 1. We'll keep checking Netflix Singapore for El Cartel: Season 1, and this page will be updated with any changes. El Cartel: Season 1 is not available in Singapore BUT it can be unlocked and viewed! One man makes a fateful decision to get involved with a Colombian drug cartel in this series based on a novel by Andrés López López. When you hang your fate on the drug game, the higher you rise, the farther you're likely to fall. 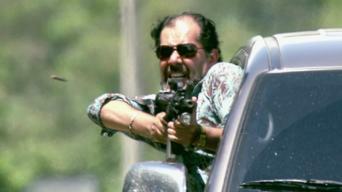 Season 1 of El Cartel has 42 episodes. Because different Netflix countries have different availability for episodes, you'll need to check the episode listing below to see which are available in Singapore. 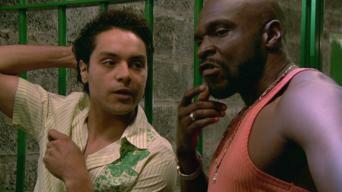 Schoolmates Martín and Pepe begin their work in the drug business. 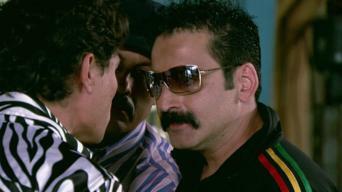 Meanwhile, narco boss Oscar faces new responsibilities and receives troubling news. A death gives Oscar reason to celebrate, Martín attends an important meeting, and Pepe makes a discovery that could have lasting implications. Susana's confession enrages Mocho, Martín has a small reunion, Oscar receives some tough news, Pepe falls hard, and Nacho gives an order. Bodegón visits Nacho in prison, Eliana gives Pepe some surprising news, Oscar plans a brutal revenge, and Sofía delivers an ultimatum. As the battle to fill the power vacuum continues, Pepe and Martín uncover a dangerous secret. Meanwhile, Sofía receives an honor. Oscar is asked to strike a bargain, Sofía suffers a setback, Martín considers making a change, and Eliana delivers unexpected news. Pepe and Martín disagree about a shipment, Eliana shows her nasty side, Oscar gets curious about Humberto, and a crisis puts everyone on alert. 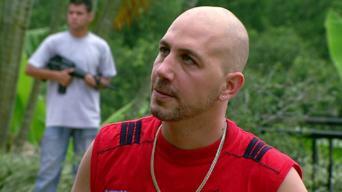 Loaiza makes a move and Martín asks for help in finding his sister. Meanwhile, Oscar tries to play both sides of the fence. As Martín and Sofía start a new phase, Gutiérrez issues a demand. Later, Eliana makes a welcome discovery and Oscar shares a regret. A shipment goes awry, Eliana issues a dire warning, and Oscar makes sense of his new surroundings and unyielding enemies. A game of soccer takes a deadly turn, Pepe shares his worries with Oscar, and leaders call a meeting that may put an end to the violence. Revenge becomes a topic of passionate discussion, Martín and Sofía argue over his guilty conscience, and a brutal plan hits a snag. Martín and Kevin discuss their possible enemies. Meanwhile, Eliana takes a trip and the authorities set a trap that could change everything. 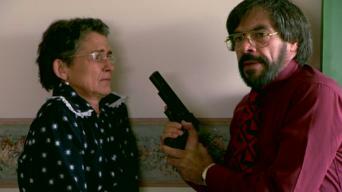 As Sofía's weariness of Martín's situation grows, the DEA gets tough with Guadaña and Cabo. Also, Juliana gets mixed up in a dangerous situation. A brutal trap claims another victim and Cabo unleashes his anger. Meanwhile, Martín considers a career change and Sofía makes a big decision. Sofía and Eliana bond over shared troubles, Pepe voices his disappointment in Samuel, and Martín tries to get a handle on business. Gutiérrez's bold step leads to more problems, Martín makes a promise to his grandmother, and Pepe lets Samuel in on a secret. Martín shares a rocky reunion with Sofía, Apolinar comes to a bitter realization, and Gutiérrez worries that he lacks leverage. When Juliana's car draws unwelcome attention, Anestesia is quick to doubt her story. Meanwhile, Martín disagrees with Sofía's parenting style. Martín issues a warning to Sofía’s boyfriend. Meanwhile, Juanita lands a modeling job, and Anestesia celebrates having made a difficult decision. Anestesia receives a worrisome note, Martín has a heart-to-heart with his mother, and David Paz keeps everyone on edge. 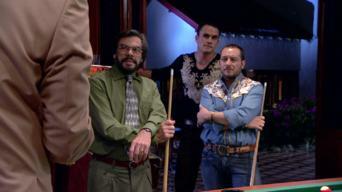 Buñuelo and Cabo come to an understanding, Ernesto makes a surprise visit, and Anestesia reveals the David Paz connection to Martín. Martín's distrust of Buñuelo grows, DEA agents struggle to come up with a believable story, and David Paz makes a big request. Martín tries to tip off Juliana, and a furious Anestesia gets some things off his chest. Meanwhile, a key player goes missing, alarming everyone. In light of new information, Anestesia faces a difficult choice. Meanwhile, the pressure mounts on Martín to cooperate with authorities. As Anestesia faces a dose of reality, Martín does what he can to help. Meanwhile, Cabo proposes a deadly solution to a lingering problem. Anestesia changes his tune, Juliana receives an unexpected visitor, and Apolinar puts a daring plan into place with some help from Martín. Anestesia learns that freedom comes with a price, Martín launches a dangerous plan, and Juanita receives a warm welcome. 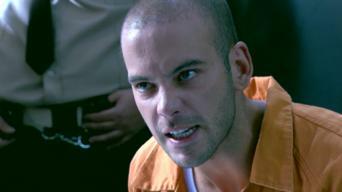 While Martín visits Juliana in prison, Pedro finds himself in difficult circumstances. 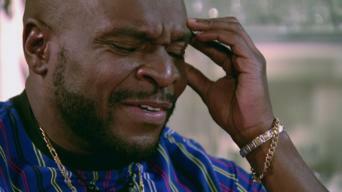 Later, Pepe makes a promise that could change lives. Suspicions abound when Martín meets with Anestesia. Meanwhile, Juanita returns to Miami, where she seeks information on what happened to Pedro. 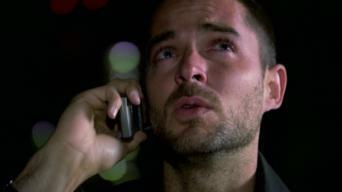 As Guadaña shares a secret with Cabo, Martín confronts Pepe about the DEA, and Anestesia delivers some distressing news. Martín makes a troubling discovery, and Pirulito keeps Navaja in the dark. Meanwhile, the DEA closes in on a target. Martín has a tearful reunion, Cabo tries to get to the bottom of a mysterious death, and Pepe and Samuel celebrate a business deal. As the FBI makes an unexpected house call, Martín begins to make his case in court, and Samuel goes looking for a fight. Amparo invites Silvio’s wife over for a chat, a drive turns tragic, and Martín receives a double dose of distressing news. Julio gets a visit from his brother. Meanwhile, Martín’s fortunes take a turn, and a sudden illness takes everyone by surprise. Martín slips his grandmother out of the country, and Amparo makes a costly demand. Meanwhile, Juanita and Sam have a war of wits. Juliana questions Sofía's motivations, Amparo's expanding ambitions worry her rivals, and Martín considers going on the offensive. Martín hears some tough news from his lawyer, and Pepe gets a long-overdue visitor. Meanwhile, Amparo makes a dangerous request. Eliana returns home, Samuel takes a stand, Fermín receives a worrisome warning, and Pepe reconnects with an old rival. Eliana makes a plea to Amparo as an impatient Martín clashes with an employee. Meanwhile, Pepe and Santilla find a common enemy. Guadaña starts putting two and two together, Pepe receives an offer from the FBI, and Sofía and Martín share an emotional goodbye.